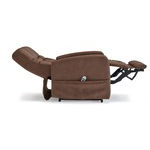 For a little under a century, the Reclining Chair has consistently become its owner's best friend, and for good reason; it delivers exquisite, relieving comfort while offering many functional and stylish features. 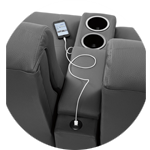 With the advancement of trends and technology, the recliner has morphed and transformed. From power features to space saving capabilities, this piece continues to be a favorite in many households. 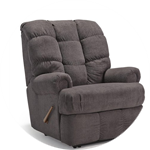 This guide will give you an understanding of the types of recliners and their available features, while shedding light on how to go about shopping for this important piece of furniture. Remember, your comfort is the most important part of the process! In the end, you should be able to relax and sink in to your newly chosen recliner and never want to get up. 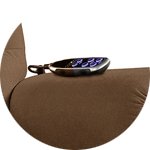 Measure both the size of your space and the recliner itself. Check out our measuring buying guide below for tips on worry free furniture delivery! You'll need anywhere between 1 foot to 3 feet of space from the wall. It varies, so ask your salesperson. Check out our sofa construction buying guide for more great tips on construction! Are you trying to incorporate this into an existing style or is a casual look all you need? If you're one who wants both the look and feel of casual comfort, than the Standard recliner is for you. These chairs are typically affordable and extremely comfortable. These also can come with many of the features listed above. 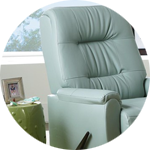 If you're looking for a more stylish option, then a High Leg Recliner may be for you. They are typically more expensive, but you get a wide variety of styles, from transitional to contemporary. 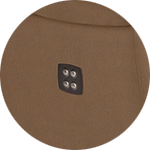 Furthermore most high leg recliners have a push back mechanism, meaning no visible handle for a cleaner look. 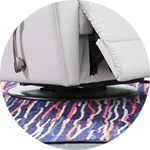 Not only do Lift Chairs recline, but they also gently raise you from a sitting to a standing position with a powered lift mechanism. Perfect for those that need a little help getting up. 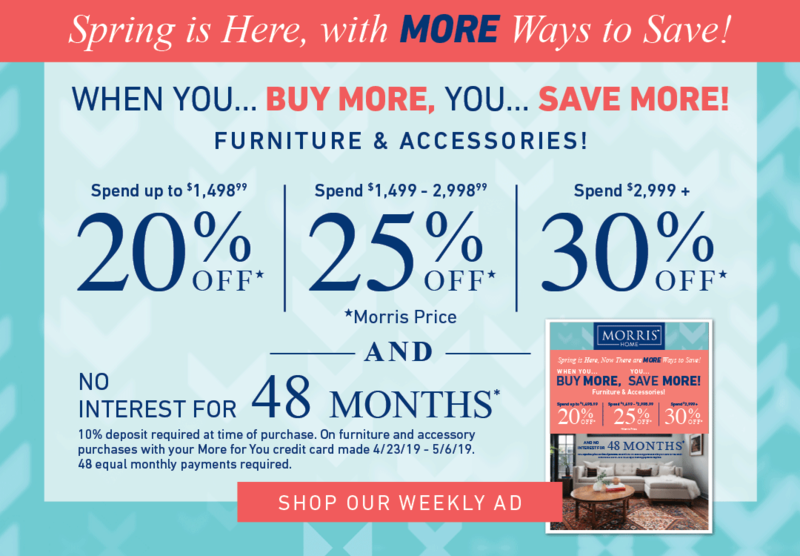 Once you decide on the type of recliner you're looking for, you can shop for any extra features you might want. 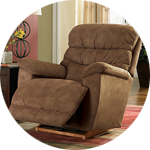 Many of these features are available across all types of recliners, so you can get exactly what you're looking for in one chair. We offer chat and email assistance to help you with online buying. Feel free to give us a call to speak with one of your sales staff or better yet stop by to see us in person and we'll help you every step of the way.